Paul Chadwick is one of the original innovators of creator-owned comics storytelling, segueing his experience in storyboarding (and, fabulously, a short stint on Marvel’s Dazzler series) into the creation of Concrete in the pages of Dark Horse Presents way back in 1986. Concrete follows the story of a regular guy navigating life encased in a rock-hard body, and is considered by many fans of the medium to be a classic of long-form storytelling from a single creative vision. Aside from a brief contribution to hit Vertigo series Y: The Last Man and 7 Against Chaos, an original graphic novel with sci-fi luminary Harlan Ellison, Chadwick has stuck almost exclusively to his trademark creation during his decades in comics. Today, his first collaboration since the Ellison project—and his first published work since 2013—hits stands, and Paste has an exclusive extended preview below. 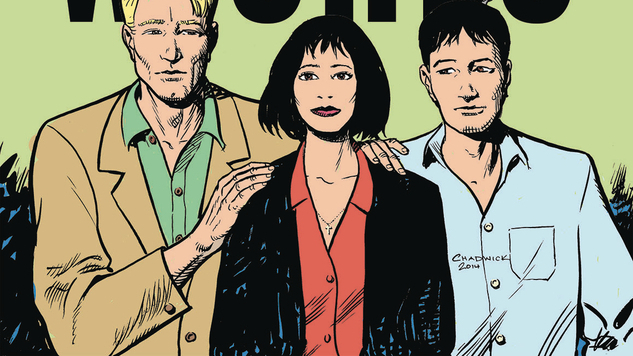 Best Wishes sees Chadwick teaming up with writer Mike Richardson, best known as the founder and longtime publisher of Dark Horse, but also a prolific creator in his own right. Beyond scripting for popular former and current Dark Horse licenses like Star Wars and Aliens, Richardson has co-created original series and standalone graphic novels including Cut, 47 Ronin and Echoes. In Richardson’s latest tale, two strangers cast coins into a Central Park fountain, supernaturally interlocking their dreams and ambitions. Cal desires fame and respect, and Mary wishes for true love from her pro quarterback boyfriend. As with any wishing scenario, things don’t quite go as planned. As rendered by Chadwick’s expressive cartooning, Cal and Mary discover the difference between what they think they want and what destiny actually has in store for them, set across a gorgeously realized New York City backdrop. Best Wishes hits comic stores today and will be available in book stores and online later this month.